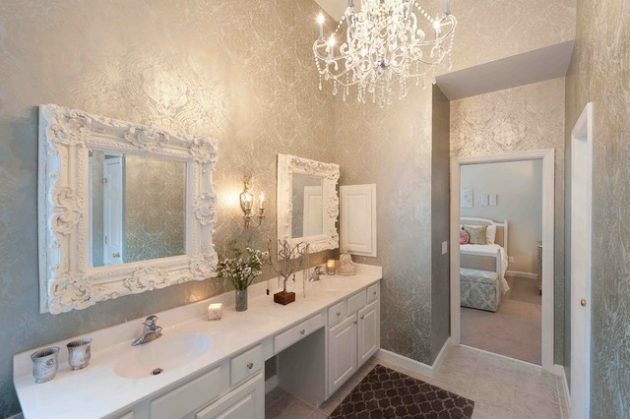 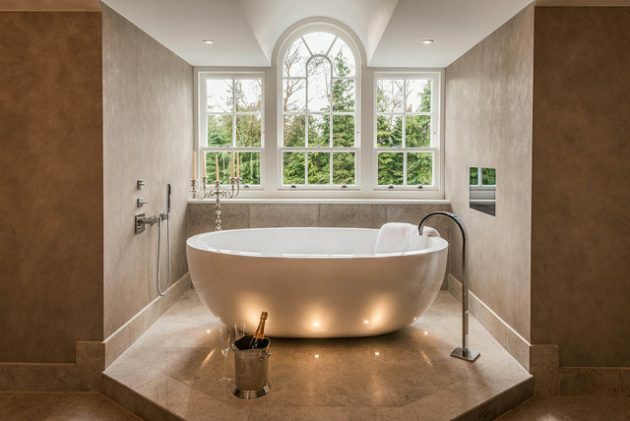 If you love to have glamor in your life, look no further than these glam bathrooms that most resembles the Holywood homes. 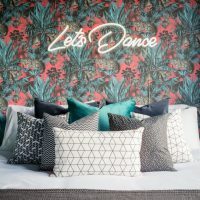 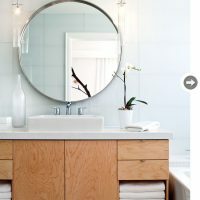 Manly interesting patterns in shades of bright colors are hit, facing a dark background and white elements will perfectly fit into the environment. 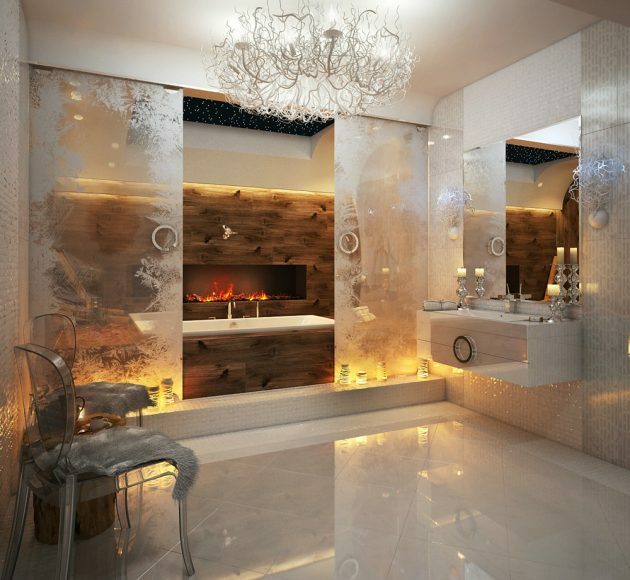 Super modern bathroom with separate bath and shower and a combination of concrete walls and glamorous chandelier does not lok like concrete industry anymore. 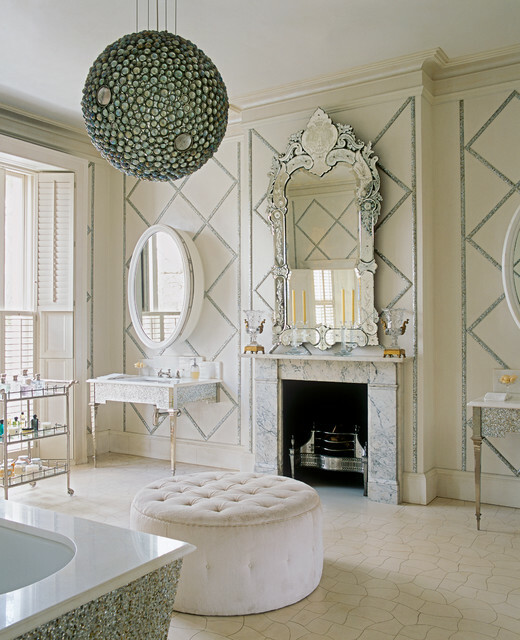 On the contrary, with the right details it may seem sophisticated and glamorous. 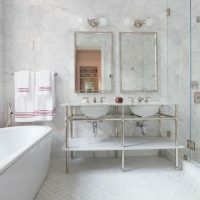 Steel in the bathroom can give vintage appearance and create a special glow. 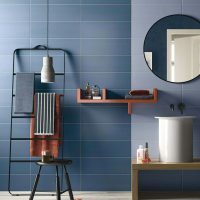 The selection of quirky bathroom accessories or additional decorative pieces, will fit perfectly with dark walls. 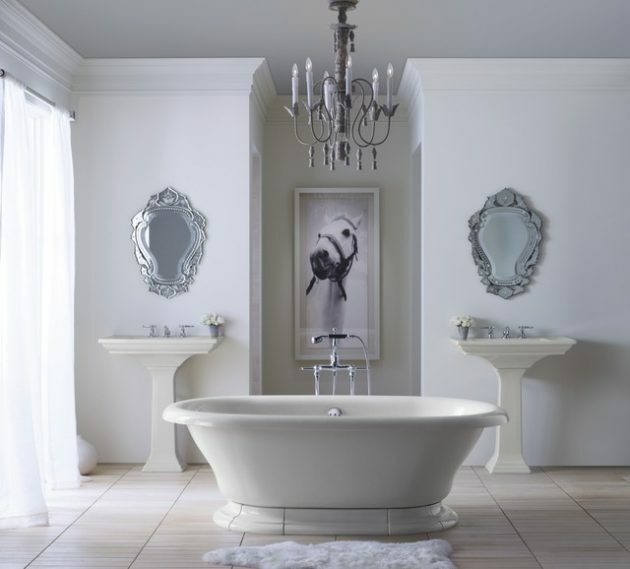 If you are looking for luxury, add some specific figures, in white or silver. 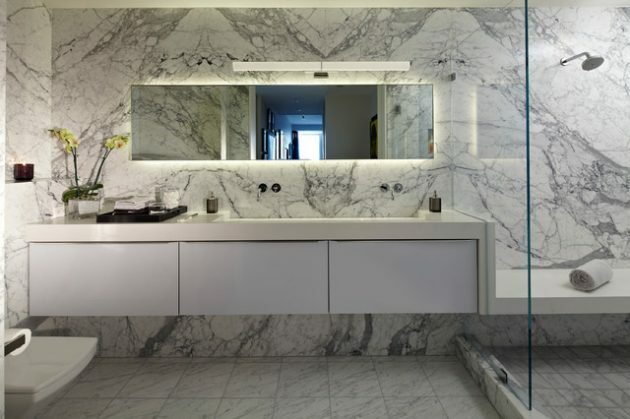 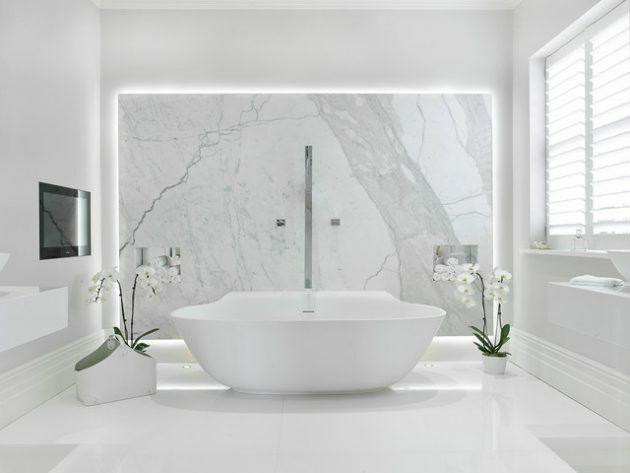 If you want your bathroom to have stylish look, you should opt for pure marble, simple elements, and some decorative items which will be focal point and will break the monotony. 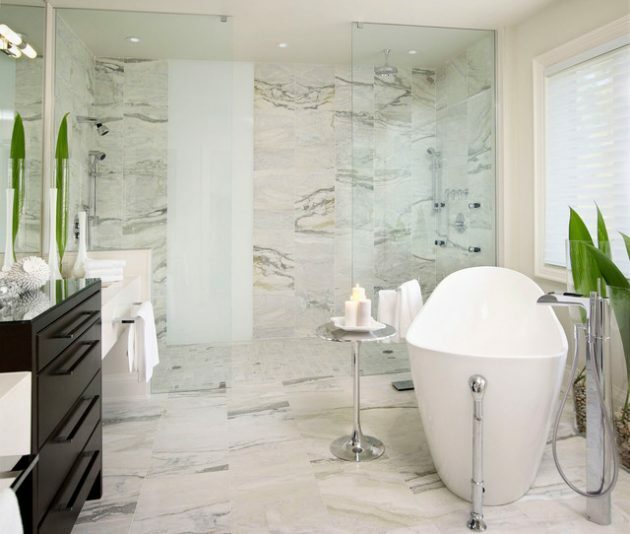 Marble is an excellent choice for the bathroom, and is not hard to maintain. 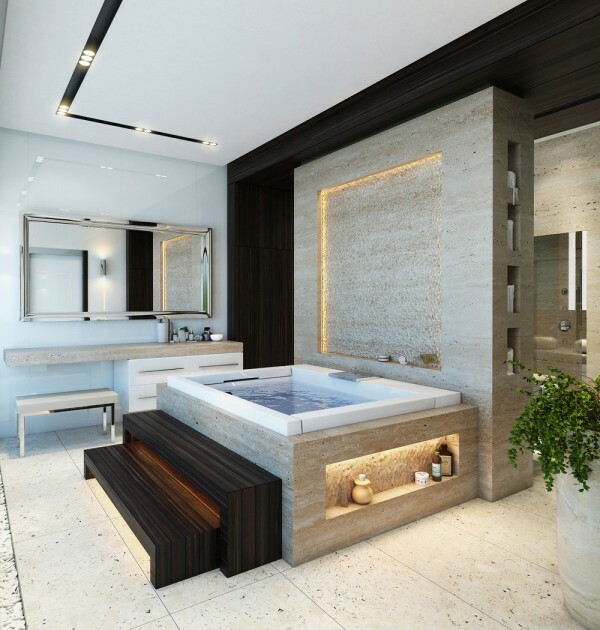 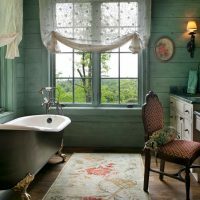 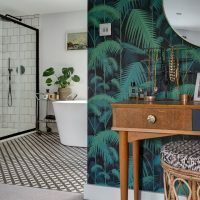 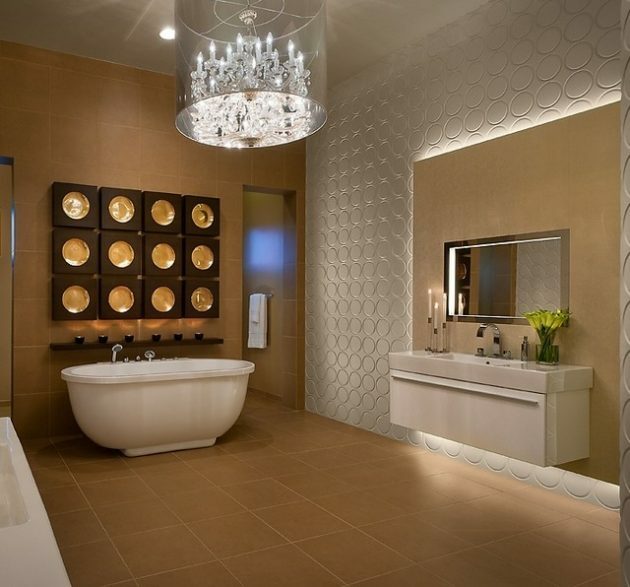 If you are wondering how to decorate your glamorous master bathroom, check out our amazing proposals and surely you will find many inspirational examples!